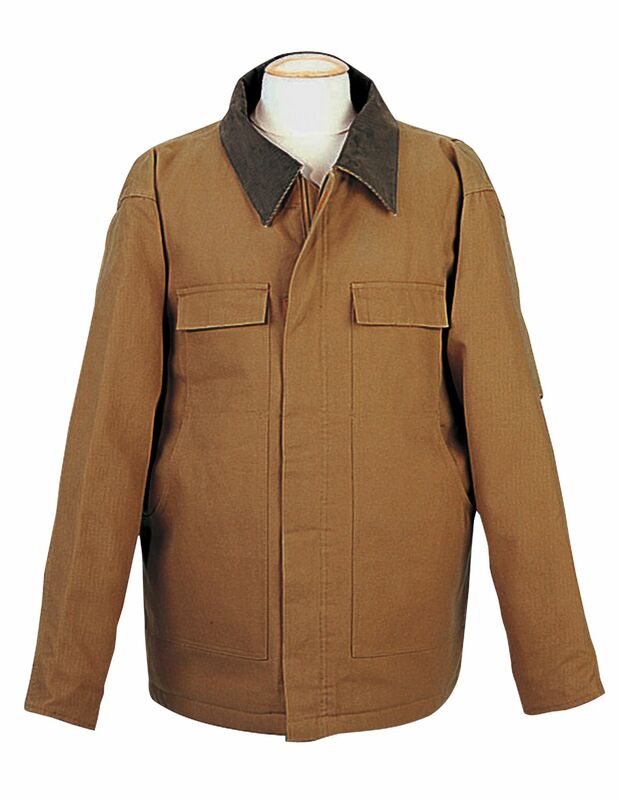 This hip-length jacket is designed for added warmth and comfort with a heavyweight 12 oz. cotton canvas shell, 6 oz. Polyfill® quilted lining in body, 4 oz. Polyfill® quilted lining in sleeves. Storm placket covers front metal zipper. Chest pockets have Velcro flap closures. Hidden knit cuffs and inside adjustable waist drawstring for a better fit.